The March Brown Winged Spider has for decades been a successful pattern on both rivers and stillwaters. 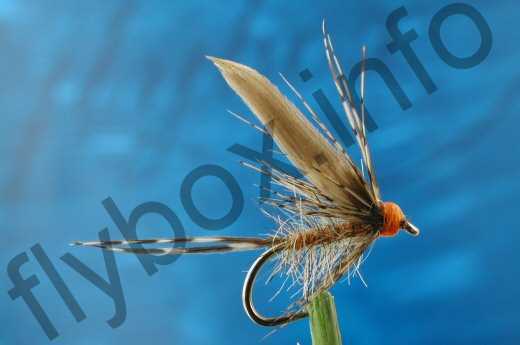 Tail : 2 speckled partridge tail hackle fibres. Body : Hare's ear and yellow mohair, well mixed dubbing. Wing : Hen pheasant quill slips. Hackle : Brown speckled partridge. Currently there are no comments about the March Brown Winged Spider fly pattern from other fly fishermen yet.